Keeping with tradition the BTCC – famed for its exhilarating fender-bending action – will visit the North Yorkshire circuit near Darlington in June (Sat 22/Sun 23 June) for the fifth round of its ten-round calendar. All tickets can be purchased on the official www.croftcircuit.co.uk website and by calling Croft Circuit on 01325 721815. Admission to the event will be FREE all weekend for accompanied children aged 15 and under. 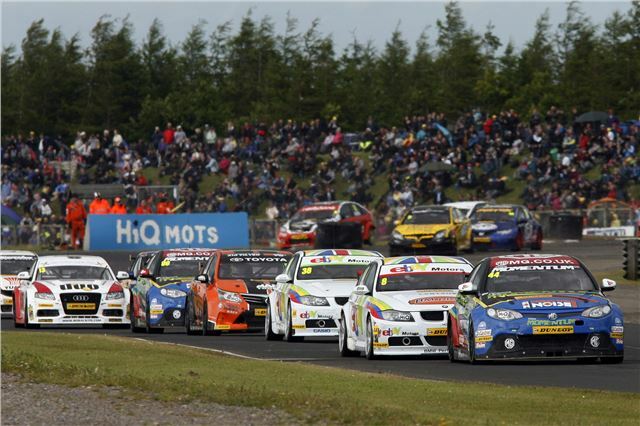 However, after the 14 December deadline, ticket prices to see next summer’s BTCC in action at Croft will rise. Croft Circuit Manager Tracey Morley commented: “We believe our pre-Christmas prices offer the best value-for-money tickets any fan can buy for a BTCC event in 2013. Bear in mind in addition to three BTCC races on the Sunday there will also be plenty of thrills and spills from the supporting Ginetta, Porsche, Renault and Formula Ford categories which provide the best saloon, sportscar and single-seater racing in the UK. Meanwhile Croft Circuit is currently looking ahead to two more top-class motor sport events in 2012. In less than two weeks (Saturday 24 November) the circuit, with various tweaks to its lay-out, will be transformed into a competitive timed special stage as part of the superb Roger Albert Clark Rally for historic rally cars. Just a month or so later on Saturday 29 December, Croft will host the Northallerton Automobile Club’s traditional and popular ‘single-venue’ Christmas Stages Rally. Tickets for both fixtures are priced just £10. For more information and to order tickets visit www.croftcircuit.co.uk. As ever, admission for accompanied children aged 15 and under is FREE to both events.